Cynthia told everyone about how she met Tom Brady. Yes, that Tom Brady, as if he wasn’t busy preparing for a football game all weekend. Sure, he was in Atlanta, obviously, but there’s no way he’s just walking around the lobby at a random hotel. Cynthia added, “I did interviews on the carpets last night saying how cool it was to bump into Tom Brady. After, I texted my picture to my bae @itsmikehill to share my excitement.” Maybe she should have texted her sportscaster boyfriend before she did red carpet interviews about the run in. Mike concluded the conversation with “I’m gonna need you…. as your SPORTS-CASTER boyfriend… NOT to not know who Tom Brady is.” Fair enough, Mike. Fair enough. 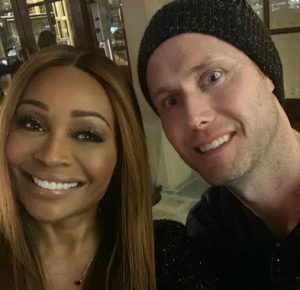 TELL US- DOES THE MAN CYNTHIA TOOK A PHOTO WITH LOOK LIKE TOM BRADY? WHAT DO YOU THINK ABOUT HER MISTAKE?